Victim was taken by LifeFlight helicopter to Maine Medical Center as police search for a group of people, including Deganawidah Goeman, more recently of Oakland. WINSLOW — One man was seriously injured at a Poulin Street apartment early Friday morning after a group of people attacked him with weapons, police said. As of Friday night, police were still searching for the attackers, including 36-year-old Deganawidah Goeman, whose most recent address was in Oakland, who police believe was involved in the assault. Police are searching for a 1997 green Mercury Tracer with animal welfare license plates. Winslow Town Manager Michael Heavener, who is also overseeing the police department, said police don’t known whether the attackers knew the 29-year-old victim. Heavener said the apartment belongs to another man not involved in the attack. Police received a phone call at about 4:30 a.m. Friday of an assault at an apartment on 19 Poulin St. and found one man injured from a stab wound to the chest, Heavener said. He said the attackers used a sharp weapon like a knife. Witnesses told police that three men entered the apartment and attacked the victim, beating him and stabbing him, Heavener said. The victim, whose name was not released by police, was taken by Lifeflight helicopter to Maine Medical Center in Portland. Heavener said police do not believe the man’s injuries are life-threatening. Maine State Police troopers were speaking with the victim in Portland about the attack, Heavener said. One other man may have been assaulted during the incident, Heavener said, but he did not require medical attention. An unknown amount of money was stolen from the apartment as well, Heavener said. 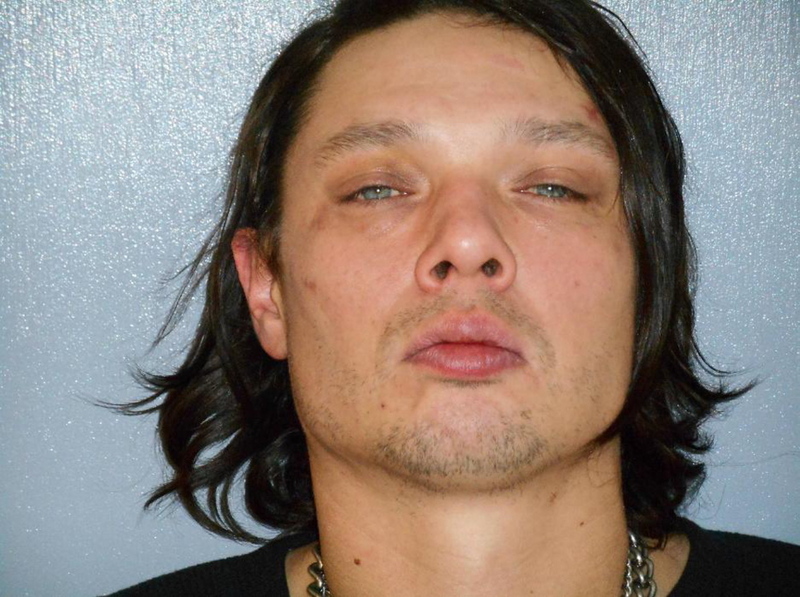 Goeman was arrested on a charge of assault in Skowhegan in July, according to police records, but it couldn’t be determined Friday whether he was convicted of the charge. Last month, Goeman was arrested on a warrant for an assault charge. In 2003, Goeman was arrested on several charges including possession of heroin, criminal speeding and driving to endanger after he led state police on a car chase through Belgrade. He was clocked driving 112 mph in a 55 mph zone before police caught up with him. He was convicted of eluding an officer, criminal speeding and unlawful possession of drugs, and was sentenced to five years in prison with all but nine months suspended.